In this game you have to create your own castle with the very big army. That is why, do not waste your precious time and conquer all territories as fast as possible! 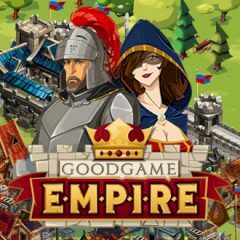 Create your big and powerful Empire! We wanna to check, or just to see all your power! It is really important, cause if you wanna to build your own empire, try to put a lot of efforts! It is not so easy as it seems to be at first. First of all build your own castle and the whole army. You will have a map, follow all tips and all details and become the most powerful! Who knows, maybe you will be the first, who can vanquish this cool game! Try to destroy all your enemies as fast as possible. You have to win this battle.